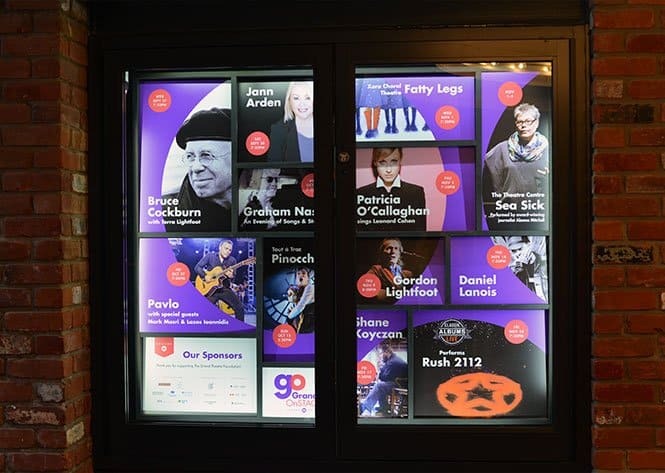 Grand OnStage (GO) is a curated selection of performances offered by The City of Kingston, presented at The Grand Theatre. 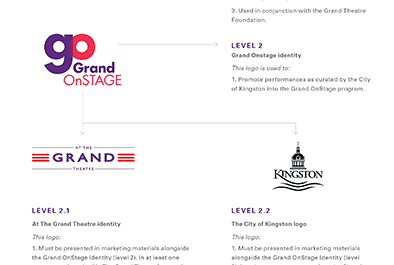 The City of Kingston approached 1dea with the challenge of how to rebrand “The Grand Presents” to ensure clarity to consumers about what the curated selection of performances entailed. Consumers were often confused about the distinction between City productions from outside promoter performances and events. A new system of presenting the brand was needed. The new direction needed to carry consistently across all brand touchpoints and media. 1dea undertook the task redefining the brand positioning and naming distinction. brand architecture. Following a comprehensive discovery phase, 1dea was able to propose a system of presenting the brand in a way that would ensure clarity and better understanding of the brand from all consumer touchpoints. An important step in the rebranding was to build from the brand strategy recommendations and create strong foundation with a revamped name, brand attributes and a redesigned logo. 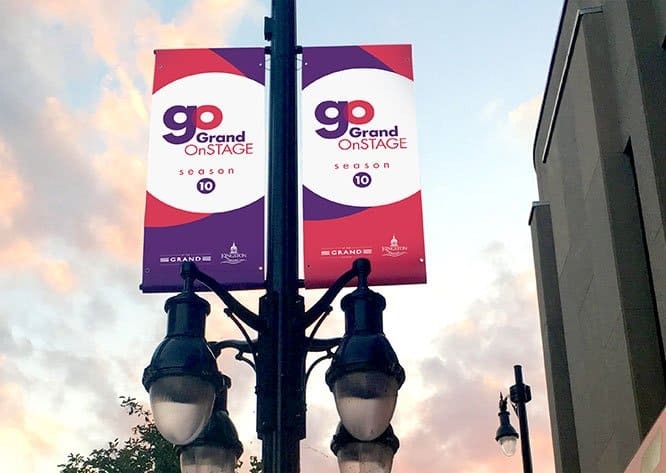 With the new name “Grand OnStage” established, affectionately known as “GO”, 1dea was ready to develop a robust visual identity system. Starting with a comprehensive brand standards manual, the creative then expanded into 40+ other creative initiatives that spanned all forms of media. 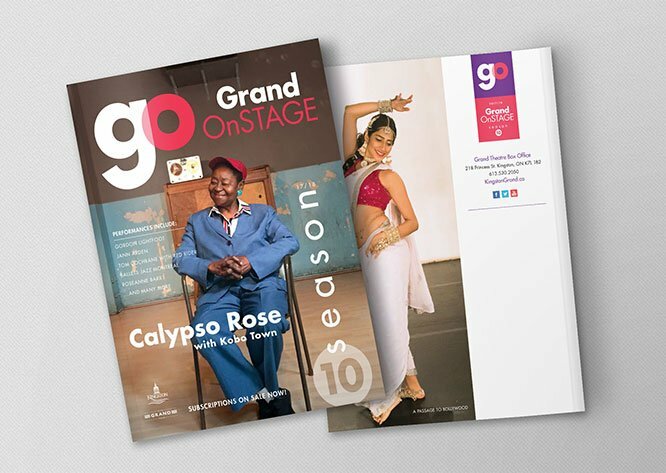 The most visible piece of the Grand OnStage marketing initiatives is the creation and distribution of the Season Brochure. 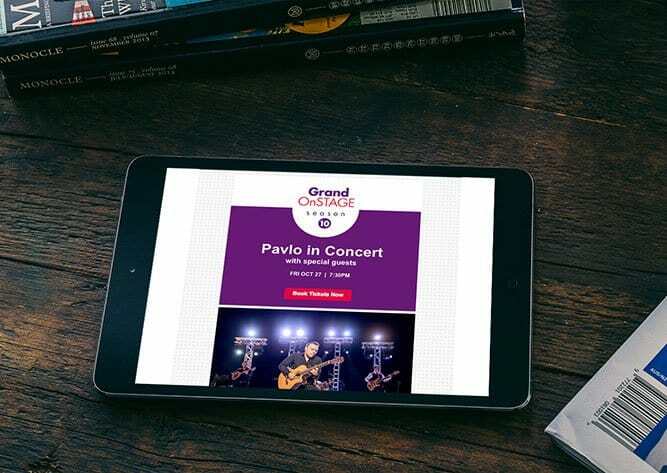 This 60 page publication showcases the benefits of subscription and highlights the upcoming performances. 1dea provided the storyboarding, concept direction, and full graphic design of this important book. for the 2017-2018 season following the Grand OnStage launch. 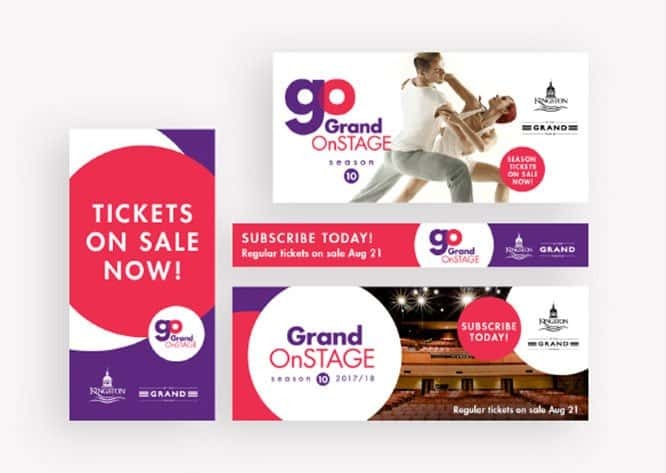 The launch of the Grand OnStage rebrand was a resounding success with record-breaking year of season ticket holders (60% increase). 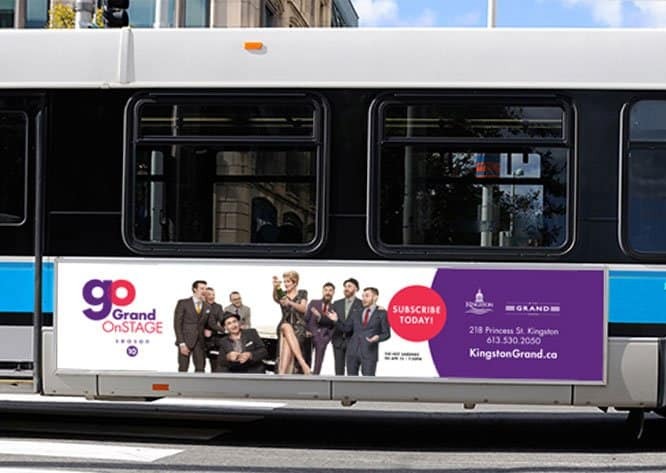 Since the rebrand, the City of Kingston has seen significant growth and retention of its subscribers. 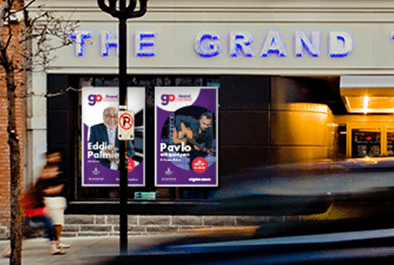 Consumers have given feedback that there is better clarity in positioning of the Grand OnStage brand. 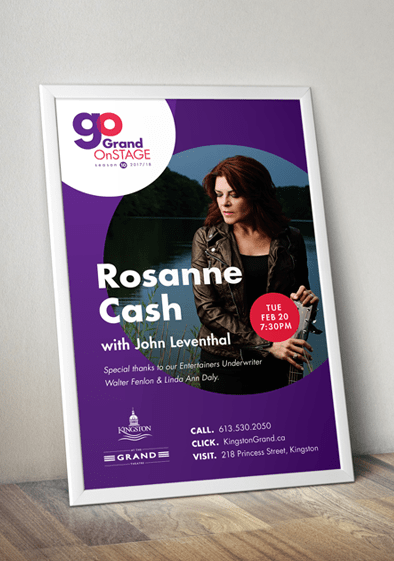 As well, as easier recognition of Grand OnStage performances within the marketplace. 1dea will continue to foster and grow this rebrand as we takes on the full creative deployment of the 2018-2019 season.